Annalee Atia, mother, presenter on "Pregnancy, Birth and Beyond Radio" and health coach on ways to build the support networks we need as parents. 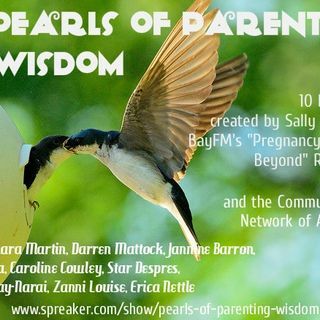 Segment 7 from the 10 part series "Pearls of Parenting Wisdom" created by Sally Cusack from "Pregnancy Birth and Beyond" Radio on Byron Bay's BayFM. Aired on the CRN Aug-Sept 2015.